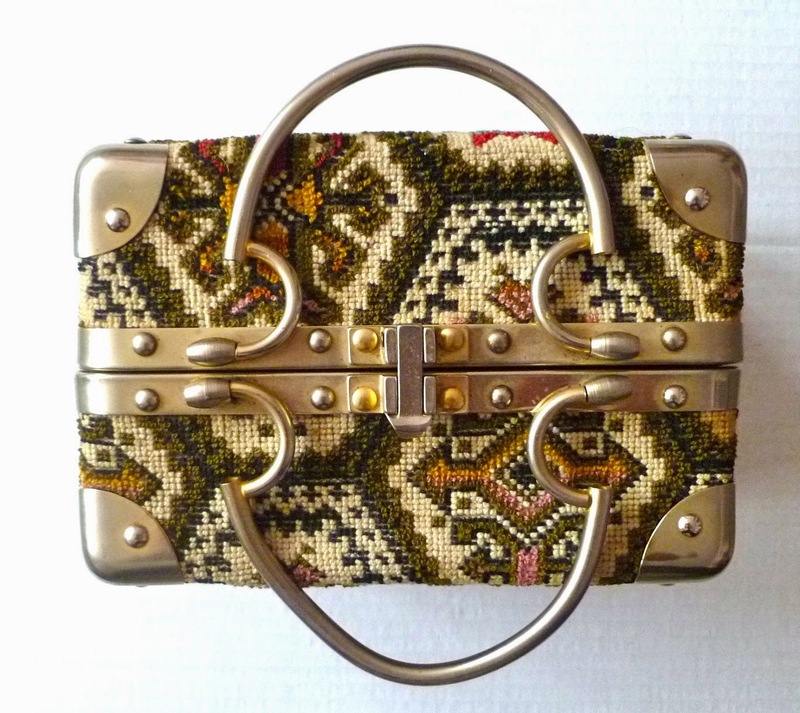 Tapestry Train Case. 1960s. Fleurette, Inc. Made in Italy. 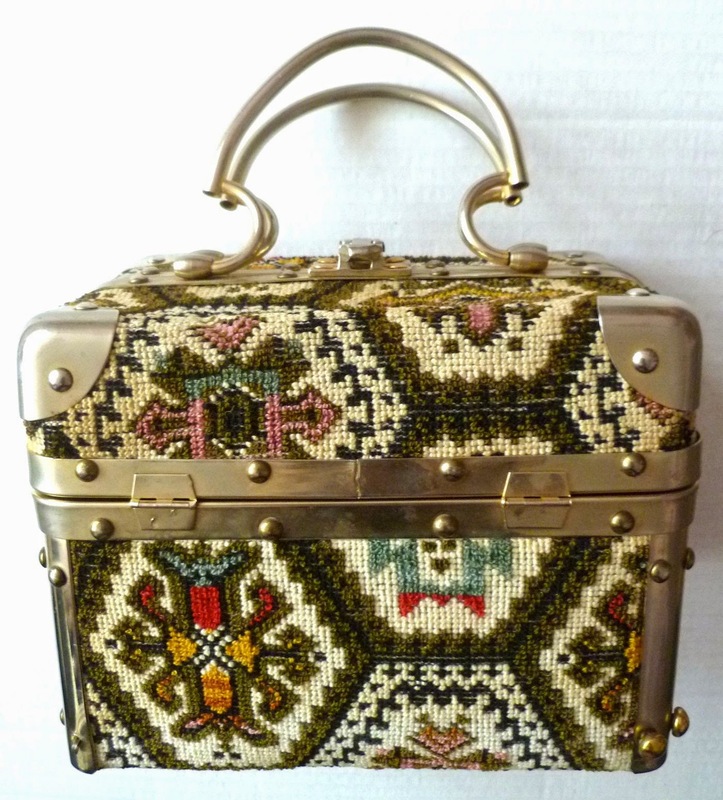 Beautiful tapestry fabric-covered train-style case. 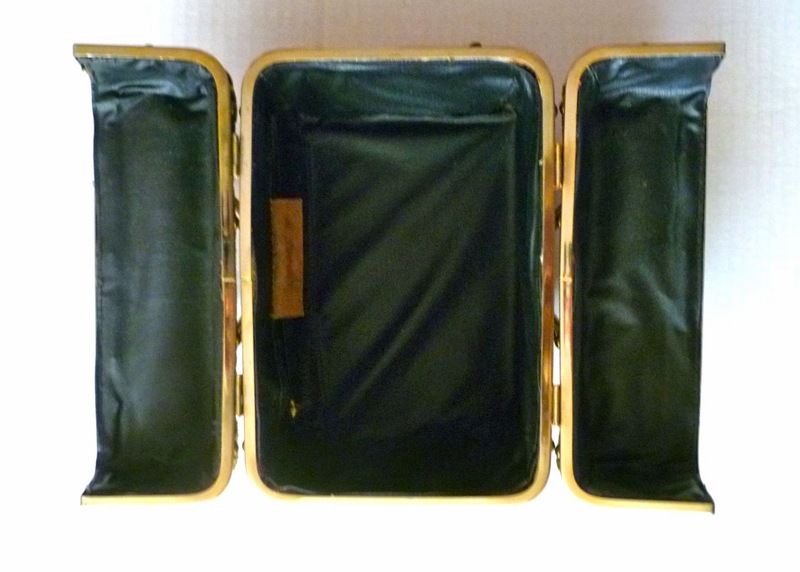 Opens at the top and folds over on each side via hinges. Goldtone metal hardware. Four gold feet. Lined in black vinyl. Interior zipper pocket. I have always wanted a train case purse and this one was very reasonably priced. Some of them are out of my price range (by now, you know how cheap I am!). Plus it was tapestry, which I’ve never seen before, and it had a label, so I knew it was true vintage. Score! Note: I’ve heard of Fleurette, and I’ve seen it used in conjunction with Faye Mell, a well-known 1960s purse manufacturer, but I don’t know if the Fleurette name was used by several manufacturers. I tried in vain to contact one of Ms. Mell’s family members to do an interview, as I have with others. I’m excited to write articles (in my "other" life, I am a professional freelance writer) about mid-century purse manufacturers or others involved in the vintage handbag industry, so please contact me at info(at)vintagepursegallery(dot)com if you know someone who would like to be interviewed for my purse sites.